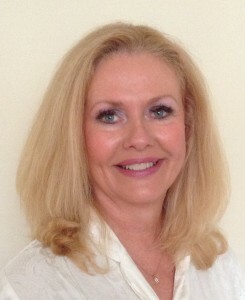 Joy S. Pedersen is the Founder and President of Express Success LLC. She is also an ordained minister, Doctor of Divinity, Licensed Spiritual Healer, and Certified Spiritual Health Coach helping people overcome their challenges of life by clearing their cause. The spiritual process of clearing follows identifying the negative or limiting memories, programming and baggage that holds us back and eliminates this negative energetic effect from within our cellular memory carried through our DNA and helps create a more positive experience in our lives. As an angelic channel, she publishes messages from God, angels and others and now has authored a book she channeled from Archangel Michael, Wisdom of the Guardian: Treasures From Archangel Michael to Change Your Life. She is also co-author of the new book, Big Bold Business Advice, along with 71 other New Jersey women business owners. Her healing with her international clientele is primarily done by telephone or through Skype. She also offers her healing by topic to groups as well as does global healings. She also speaks on how The Subconscious is Key to Your Success and How to Work with Angels. Pedersen was one of the first leaders in networking, teaching networking across the country and in Canada as well as was the founder of several networking organizations. Currently she maintains an intimate network in her home town, Wayne, NJ., Express Success Network. Her pro bono work focuses on a global peace and prosperity initiative healing the cause of the imbalances to atrocities of life affecting all as well as helping humanity prepare for heaven on earth. She is a member of American Association of Spiritual Healers and Coaches, The Women’s Leadership Association, The International Women’s Leadership Association and chosen Executive of the Year 2013 by Worldwide Who’s Who. Within hours of our session, I felt clearer, lighter, and less attached. You were amazing and I am so grateful for the difference in how I felt and how the situation changed followed our work together.